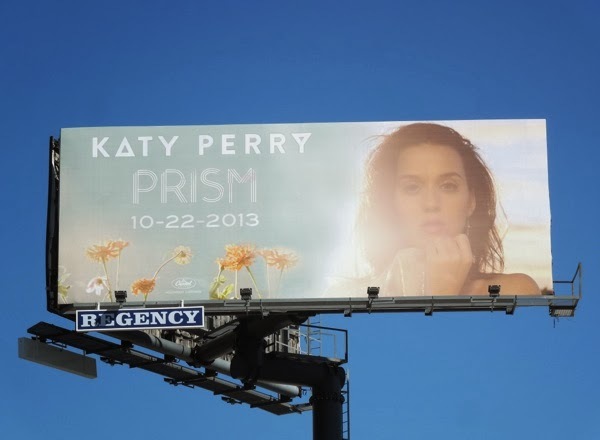 Katy Perry's chart-topping new album Prism has been out for a while now, but following her opening the American Music Awards last Sunday and since we showcased Lady Gaga and One Direction's new albums this month here at Daily Billboard, it seemed only fair to give this California Gurl her time in the spotlight too. Have you discovered the delights of Roar, Dark Horse, Walking On Air and Unconditionally, yet? 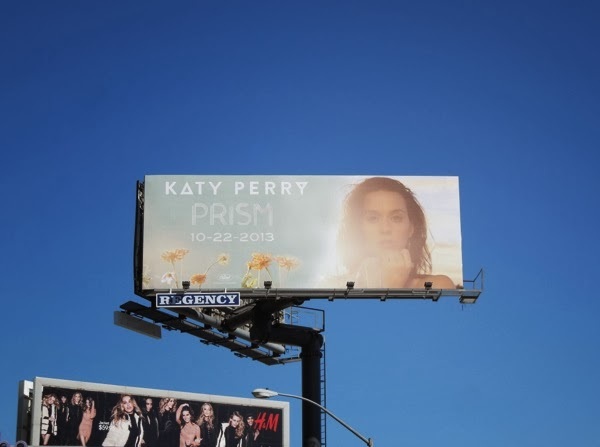 This album billboard featuring a softer, more vulnerable looking singer bathed in sunlight, was spied high over L.A.'s Sunset Plaza against a California blue sky on September 30, 2013. 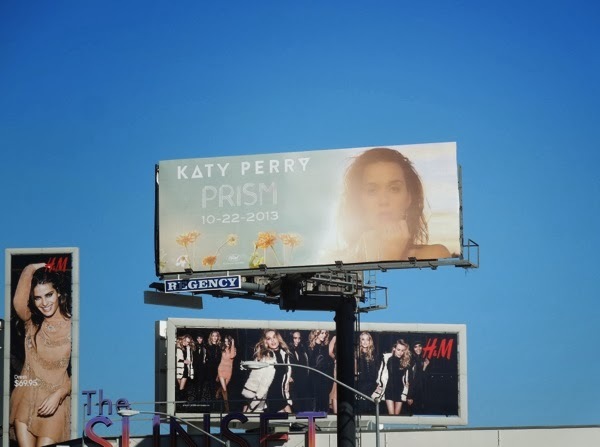 If you're a Katy Perry fan, be sure to check out her Purrs fragrance billboard and her giant Part of Me movie billboard. 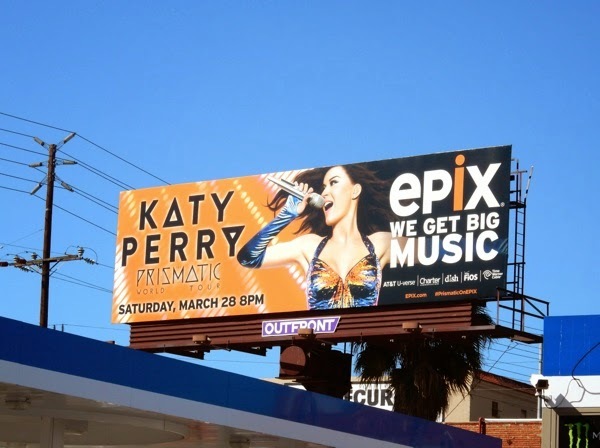 UPDATED: Here's also a duo of vibrant Epix billboards for Katy Perry's Prismatic World Tour spied along Vine Street and La Cienega Boulevard in L.A. on March 4, 2015. 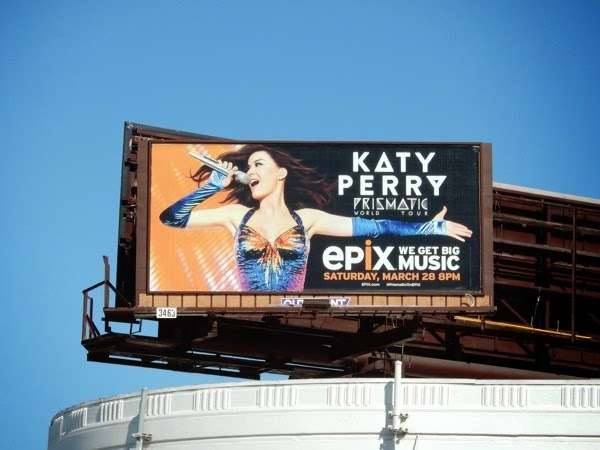 UPDATED: For fans of the pop star here's also a collection of other Katy Perry billboards spied in recent times. First up is the Apocalypse Now-inspired ad creative for her Olympics single, Rise, snapped along Hollywood's Argyle Avenue on August 2, 2016. Next is this fun, vibrant and retro billboard for her spring footwear collection spotted above West Hollywood's Sunset Strip on March 14, 2017. 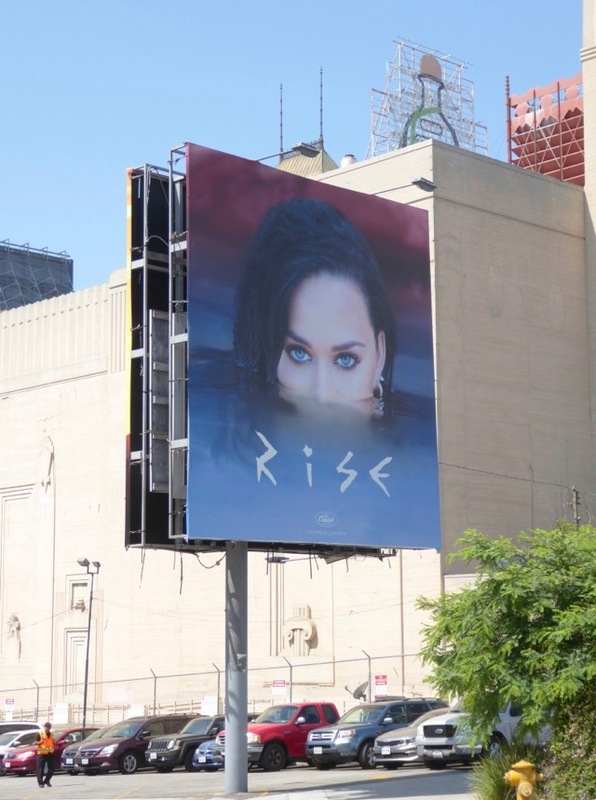 Spotify streamed her new studio album, Witness, with this eye-opening ad creative along Beverly Boulevard on June 12, 2017. 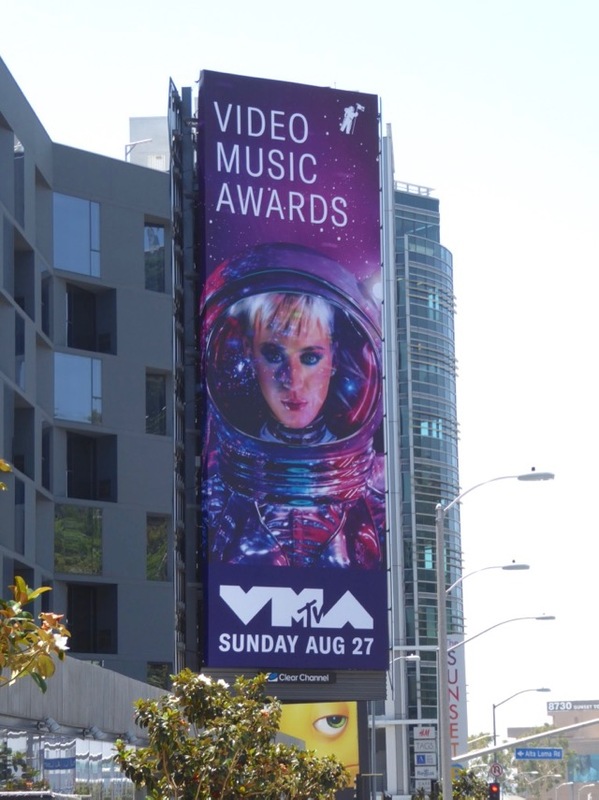 Plus she was getting into the spirit of hosting MTV's Video Music Awards with this astronaut-inspired billboard along the Sunset Strip on August 10, 2017, and this YouTube billboard was spied along Riverside Drive on August 20, 2017.